I have always loved cheese so getting a cheese slicer was something that I have always wanted. I really liked the idea of having the freedom of slicing my cheese to the thickness I want without the trouble of using a knife. Getting my first cheese slicer also meant that I didn't have to buy pre-cut cheese in the supermarket. Pre-cut cheese is great sometimes they're not the same quality since you don't really know if the cheese in the pack is what they say it is. 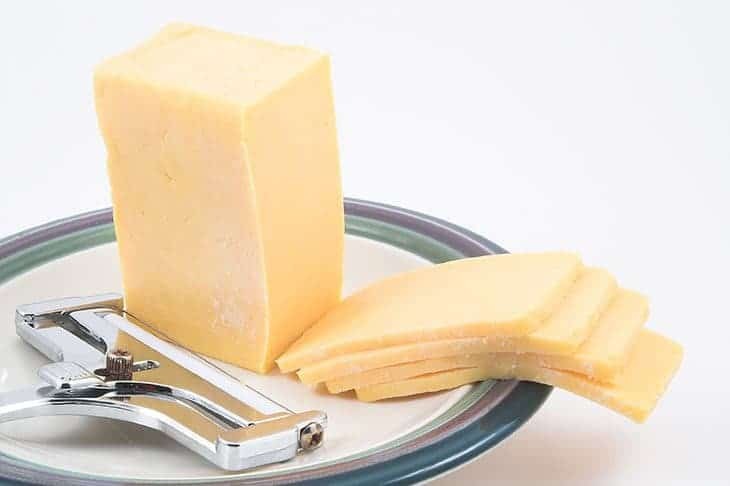 This cheese slicer is incredibly elegant. What initially drew me to it is how elegant and chic the marble base looked like. When I saw it, I felt like I was in a trance and I honestly didn’t care for its other features which are really not a good idea. That being said, I was pleasantly surprised that this did not just look good but it also has the features to back it up. The marble base is not there just for the looks but it is also a great base for slicing since the cheese does not stick to it. The stainless steel blade is also top notch. 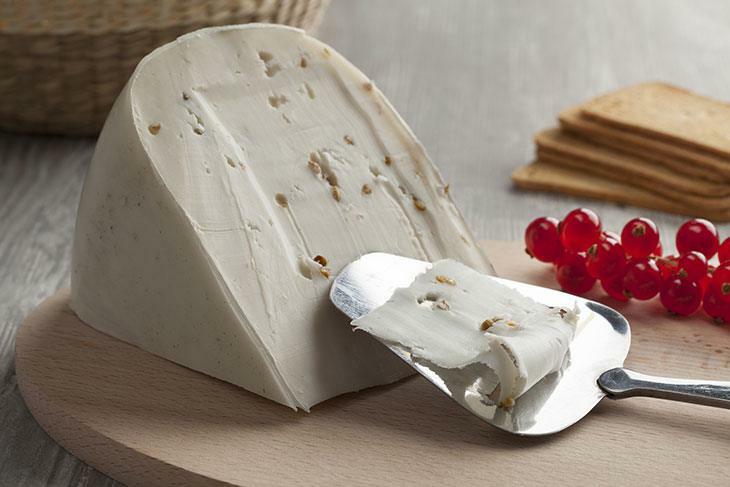 It can seamlessly cut both hard and soft cheese so you will always have a perfectly straight cut all the time. Despite all these great things, it is not without its faults. Since the handle is not adjustable, you would need to affix your block of cheese to the slicer. This could be very tricky since you would need practice to get the right thickness. I also noticed that the handle wobbles a lot making it harder to control. Lastly, it is really hard to clean and needs a lot of time to get all the nooks spotless. It has a chic marble base. It is able to cut both hard and soft cheese straight. The blade is made of stainless steel. It is hard to get the right thickness of the cheese. Getting it cleaned is time consuming. West mark is a pretty well-known brand so I did not hesitate at all to buy this one. The handle of the cheese slicer was ergonomically designed so I did not feel any soreness or discomfort while I was using it. This also makes slicing safer since the handle is also easy to hold. The wire of the slicer is also able to cut both hard and soft cheese without much trouble. I love how light it feels despite being very heavy duty. The lightness of the slicer also makes it easier to control and get that clean slice. Another thing I like about this is that, unlike other handheld cheese slicers, getting the right thickness with this is a breeze. I just need to angle the slicer a certain way and I would get the thickness I need. It does need some practice but once you get a hang of it so others who may not have used slicers before having a problem with it. I loved that the handle is ergonomically designed so I never get uncomfortable when I use it. The sleek finish of the cheese slicer is also amazing. It is relatively more expensive that the others on the list. You would need some practice to get the thickness you want. What initially drew me into buying this cheese slicer is how compact and portable it looked. I loved how it looked like I can bring it to picnics so I won't have pre-slice the cheese before I head out. I also liked how durable it looked despite being very small. 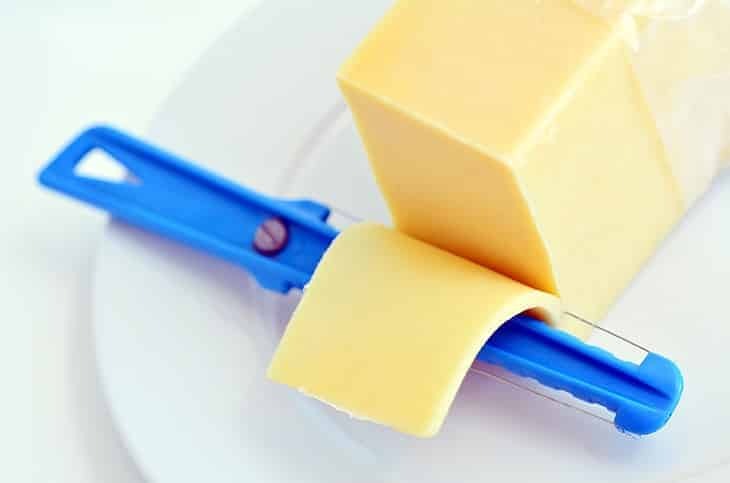 I can also easily adjust the thickness of the cheese which I thought was impossible with handheld cheese slicers.The first few times I was using it, it was awesome. It was very durable and it felt like it can last me years. The metal handle was very durable. I loved how handy and portable it is. The heavy duty handle gives great control. The wire blade is not at all heavy duty and breaks after a couple of uses. This Bellemain cheese slicer was my second handheld cheese slicer. After my first handheld slicer broke, I wanted to get another handheld one for picnics but I knew I needed to get one that's more heavy duty. This is exactly what I found with this product. I really love how easy it is to adjust the thickness of the cheese. It didn't need any elaborate manipulating just a few moves and you'll get the size that you want. Although I was completely in love with this one at the beginning I soon started to see that it does have faults. After a few uses, I noticed that the wire started to get loose. It is easy to adjust but getting the right tension can be quite challenging. It is portable and light. There is an extra wire blade included. The wire gets loose after a few uses. Getting the right tension for the wire can be difficult. I saw this Prodyne cheese slicer while I was looking for another handheld cheese slicer. The wood finish of the base really caught my eye. I honestly didn't need this type of slicer since I still had my marble one but I wanted to give it a try. Plus, it's a great fit for my rustic kitchen. 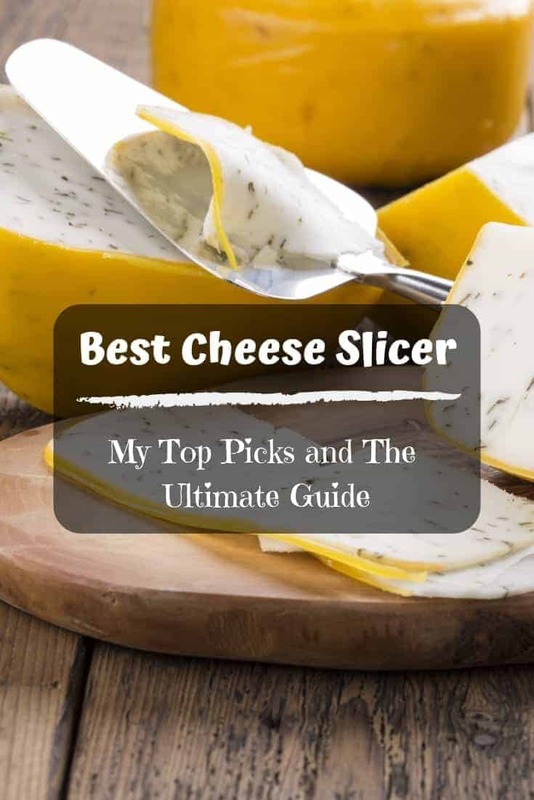 The base of the slicer is also a great serving platter when I serve the cheese during parties.The first few times I was using it, I did not encounter any problems at all. The wire was cutting the cheese smoothly and I was also able to adjust the thickness as I wished. However, after a couple of uses, the wire blade started to become loose and broke eventually. But they do offer lifetime warranty so I was able to get it replaced without much hassle. The beech wood base which doubles as a serving platter. I can cut both hard and thick cheese and varying thickness. It has lifetime warranty for the wire. The wire broke after a couple of uses. 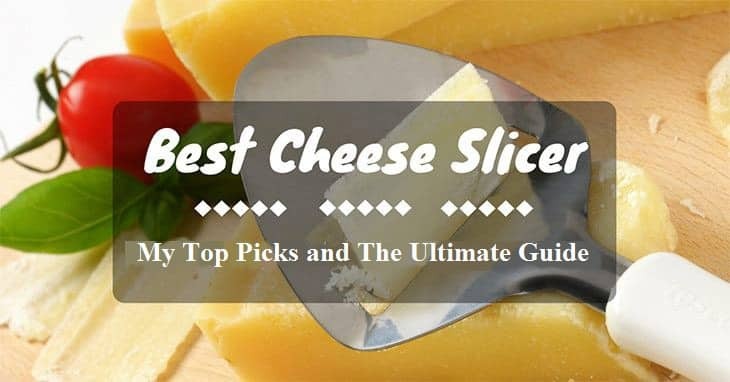 Best #cheese slicer: My top picks and the ultimate guide! Learn about the best #kitchengadgets around. When purchasing items that have blades and are used for cutting, it is an absolute must to check for the safety. You wouldn't want to get cut in any way. Trust me, after getting cut once with my first cheese slicer it's really not such a great experience. The tell signs of a safe cheese slicer are the presence of safety featured like rubber handles and rubber stands. For handheld slicers, the non-slip handles will ensure that you won't accidentally throw the slicer. It also helps you have a good grip and control of your slicer. As for slicers with bases, I suggest that you look for those that have rubber feet. This would stop the base from slipping off the counter and it would also give you better control. Aside from these, it's also best to check if the blade is attached securely. It shouldn't wobble or look unstable.I also believe that making sure that your Cheese slicer is up to food safety standards. This means that the blade should not rust easily or at all of possible. It's also best if it has a feature which ensures that no food particle gets stuck on it so you won't need to worry about transferring bacteria. The same should be present for the base of your slicer has one. When you get a cheese slicer, the quality of the cheese slices it produces is, of course, a top priority. There are a lot of slicers that work well with hard cheese but not with soft cheese or the other way around. Sometimes they're not good for either. The best way to check for how well the slices would be is to look at reviews and to look at my top choices above. 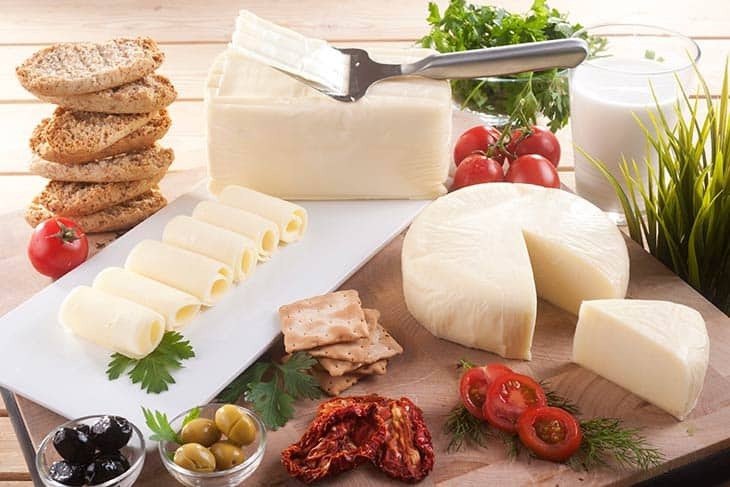 The quality of the slice does not only rely on whether or not the cheese is cut smoothly, it also depends on the control you have on the thickness of the cheese. This is a common problem with a lot of slicers. Although the slices are clean, most of the time you'll get a slice that is not the right size. 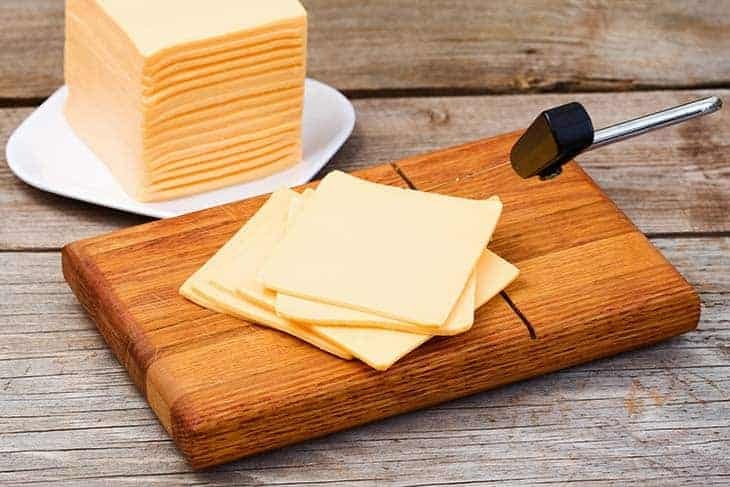 Your cheese slicer should not give you any discomfort while you are using it. Some cheese slicers I have used are too big making it hard for me to control it. Others are just the right size but they do not have any support on the handles so redness on your hands is a typical result. Slicers which are ergonomically designed have rubber and ridges on their handles. This gives you better support and greater comfort. The typical type of cheese slicers is handheld one. These often look like vegetable and fruit peelers. I recommend this type of slicer for those who do not have a lot of space in their kitchen. This is also a great choice for those who want something that is portable since this is easy to bring with you wherever you go. Personally, I do not like using handheld cheese slicers a lot because I find them harder to control when it comes to the thickness of the cheese slices. It's also a bit hard to use this on soft cheese since you would normally need to hold the cheese to cut it.
. Since the cheese is laid on the base and not held by your hand, you can also use this for softer cheese. Although I prefer this type of cheese slicer, I do think that it is not without its faults. For one, it's hard to know whether the handle for the blade would be comfortable in the long run. Another problem is that there are a lot of products like this which usually has issues with stability of the blade. Among all the slicers above, I would have to say that my ultimate favorite is the marble one from Fox ﻿﻿Run. I love the chic marble look it has and it's also amazing that it's not just all looks but it also has the functionality to back it up. Since it can cut both hrs cheese and soft cheese this makes it more convenient. I hope you found this very helpful. If you think I missed out on other great brands or if you have other tips please feel free to comment them below so more people can find out about it.